The rise in ownership and usage of mobile devices has led to the introduction of convenient services, such as mobile payment solutions that allow users to make payment transactions via their smartphones. Mobile technology are now being used by enterprises and banks to maximise the Internet of Things to widen their market reach and provide clients with a fast and convenient payment option. By 2020, mPayment technology will be a standard mode of payment. 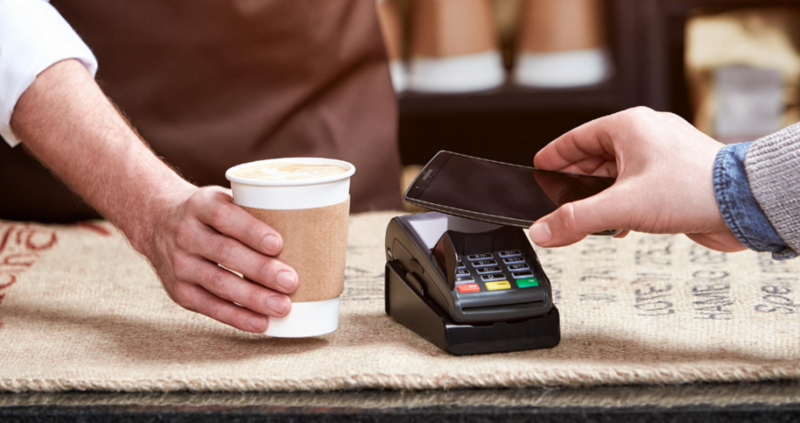 According to research conducted by Visa, customers will be more comfortable using their mobile devices in paying at physical stores and virtual shops and could potentially leave their wallets at home. Likewise, businesses will be encouraging people to embrace mPayment solutions by installing NFC-enabled terminals at their physical stores. At the moment, people are only able to make payments on their mobile devices through an app or built-in mPayment feature. But, credit cards will still be prominently used even in prime markets like the US. In fact, a Nilson Report revealed that US credit cards will gain more shape in spending by 2020, where purchase volume is projected to reach $8.226 trillion. Along with the rise in usage of credit cards, future technologies are set to improve the whole mobile payment process by making each transaction more secure, reliable, and faster. year. Read on below to find out what will aid mPayment solutions in the coming months. To encourage people to adopt mPayments, mobile manufacturers are now making the rolling out the technology across all smartphones, whether it’s on a premium handset or a low-end device. Samsung initiated the development by announcing that they will soon launch their propriety Samsung Pay on their low- to mid-range smartphones. The Korean tech giant will also include fingerprint sensors for added security benefits. With this move, it is expected that other mobile manufacturers will soon make their mPayment solutions compatible with affordable handsets. This will further encourage people to embrace the technology, especially in developing nations, where there’s a big market catering for low- and mid-range smartphone users. Aside from built-in and third party apps, all smartphones will soon have the ability to send payments via text messaging. A third party provider was able to maximise iMessage to allow users to send payments to anyone in the world through the text messaging software. It works with iOS 10 devices that allow users to send US dollars, euros, pound sterling and even Bitcoin to their contacts in iMessenger. This particular type of mPayment is expected to grow this year, especially with experts predicting the return of widespread SMS use. Nowadays, most SIM cards and plans come with flexible bundles that offer large amounts of free text messages, calls, and mobile data. As a point of reference, O2’s pay as you go SIM plans offer 1000 to 4000 text messages along with 4G LTE connectivity and hours of calls at an affordable rate. While this may only be one of a hundred mobile providers, it goes to show the sort of offers that are available to consumers presently. If you thought Bluetooth was dead or archaic, then think again. Bluetooth chip shipments are expected to double in 2017 led by the demand for integrated mobile device parts. Apple announced the rebirth of Bluetooth when they replaced the iPhone wires with EarPods resulting in wireless connectivity due to Bluetooth technology. This is the tech company’s way of fostering wireless technology that has the potential to be used in conjunction with mPayment solutions in the future. Bluetooth offers a stable and secure connection between the new EarPods and the iPhone, which can also offer mobile payment users the same benefits during transactions. In addition, Bluetooth has already surpassed the initial stage of adoption. It is mature enough to be used on a large scale by consumers this year. The blockchain technology is more popularly transacted by people using PCs or laptops, considering that most of the software used to mine Bitcoin is only compatible with the aforementioned platforms. While there are wallet apps that manage cryptocurrencies, the user base is still very low. However is this about to change thanks to the rise in mPayment solutions. The Swiss government was recently reported to have approved the regulation of blockchain and its technologies that will pave the way for cryptocurrencies to enter banking processes. “It is great to see that the government finally starts to think about realising opportunities instead of eliminating risks. Often, governments tend to over emphasise the latter while neglecting the former,” said Swiss Parliament member Franz Grüter. There’s a good chance other banks across the world will follow suit and push their governments to finally accept a more open-minded view on blockchain technology, including Bitcoin. It is an exciting year for mPayment in 2017. New and old technologies could revolutionise the way consumers make payments and, who knows, we could eventually live in a paperless society. However, these trends may take years before it will become a standard in the market. People are still attached to their plastic credit cards and its usage is expected to grow further in the coming years. It is human nature after all to attach ourselves with things that we can physically touch. Similar to the predictions that cash will be obsolete, it is unlikely for credit cards to disappear or be completely replaced by virtual payment solutions. With mpayments entering the public eye and becoming the norm, consumers and businesses alike are more comfortable in using an app such as PayNow to process mobile POS payments. It makes the transition uncomplicated and efficient for future mpayment users. Techie JenB is a freelance photographer and a full-time entrepreneur. She owns a small clothing shop in her town while doing wedding photo shoots upon request. She loves following the latest trends in entrepreneurship, marketing, business technologies and the like.